I want to leave something behind that means something, Daniel Lanois told Rolling Stone' s James Henke, explaining his singular approach to life and record making. Am I going to follow my own ideas and philosophies, or am I just going to fall in the rut of doing rubbish for the sake of making a living? Lanois's decision to follow a more meaningful approach led him from recording groups in a homemade studio in the 1970s to forging a partnership with avant-garde producer Brian Eno in the early 1980s to producing some of the best-known—even legendary—acts in popular music, including U2, Peter Gabriel, Robbie Robertson, the Neville Brothers, and Bob Dylan. Lanois began his recording career in 1970 in a small studio he and his brother Robert built in their mother's basement. From the beginning, Flohil recounted, the studio's reputation was strong; there was a nice atmosphere and a relaxed feeling; [the brothers] were good engineers and were able to help many artists sharpen their material in the studio. They recorded dozens of artists from the surrounding area throughout the 1970s. In 1980, because of increased demand, the Lanois brothers were forced to open the larger Grant Avenue Studio in nearby Hamilton, Ontario. Here Lanois's producing talents gained notice through work with such groups as Martha & the Muffins and the Parachute Club. With the arrival of rock experimenter Brian Eno to the Grant Avenue Studio in the early 1980s, however, Lanois's recording direction changed. Looking for a studio out of the mainstream, Eno came to Lanois's to begin his self-termed ambient music series of records. The first of these experimental recordings, which were to become highly influential in the music industry, Lanois simply thought of as badly recorded piano tapes, he admitted to Rob Tannenbaum in Canadian Composer. But after working on these carefully composed and recorded works, Lanois found he just got into that pace. Really quiet and atmospheric music that paints a very strong picture with slow detail—almost like musical landscapes, he explained to Henke. The artistic view Eno opened up for Lanois was accompanied by an expanded technological understanding as well. 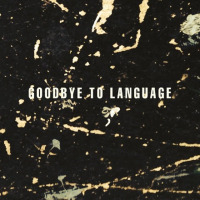 The challenge of evoking a strong emotion on an instrumental record without the benefit of lyrics forced Lanois to experiment with outboard effects, playing the studio as he would a guitar, Tannenbaum wrote. Lanois's ability to do this, a talent considered his forte, is achieved in part by eschewing the conventional distance between a producer and artist. I don't spend much time in the control room, he told Jennings. I try to get out there, listen to the songs and get to the bottom of the arrangements—and get involved. If you're standing right next to someone, a lift of an eyebrow will convey a message that would be lost behind a piece of glass. Lanois also began recording outside of the controlled studio environment, capturing the spontaneity, acoustic warmth, and human element of performances in such informal and comfortable settings as castles, dairy barns, and homes. He sold the Grant Avenue Studio in 1985 and since prefers to simply set up a portable studio where a performance is to be recorded. 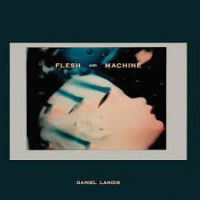 With an approach that emphasizes tranquility and ingenuity over technology ... Lanois contradicts the modern notion of a producer as a flesh-bound instruction guide, Tannenbaum observed. Indeed, Lanois approaches the musicians with whom he works as part artists, part mystics, and always human beings. He never leads them, but instead lets them explore, often bringing to light the artistic achievement that is already contained within them. Peter Gabriel, who worked with Lanois on the film soundtrack Birdy and his album So, told Stephanie Ortenzi of Maclean's that Dan worked best in maximizing my performance. He has a reverence for the magic of the moment. This intuitive insight, an attention to the possibilities of what might already exist or could be, is also what collaborator Brian Eno values in Lanois. Dan listens to feel, to the skeleton of the songs, and draws attention to the things everybody else has stopped noticing, Eno wrote in Rolling Stone. 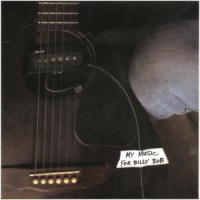 One of the most distinctive and celebrated producers of his time, Daniel Lanois was also a gifted composer and solo artist; whether performing his own material or helming records for the likes of U2, Bob Dylan and Peter Gabriel, the hallmarks of his singular aesthetic remained the same—noted for his unparalleled atmospheric sensibilities, Lanois pursued emotional honesty over technical perfection, relying on vintage equipment and unorthodox studio methods to achieve a signature sound both viscerally powerful and intricately beautiful. He was born in Hull, Quebec; his French-Canadian family was firmly rooted in music, with his mother a singer and both his father and grandfather noted for their prowess on the violin. Following his parents' separation, Lanois and his mother moved to the English-speaking suburbs of Hamilton, Ontario; there he learned to play guitar, and with his brother Robert began making primitive home recordings on a cheap cassette player. In 1970, the siblings purchased a four-track machine, setting up a recording studio in the laundry room of their home and offering their services to local bands for a $60 fee. Regularly aiding their clients not only as producers but also as songwriters and arrangers, the Lanois brothers' reputation quickly spread, and as the decade drew to a close, they were able to graduate to larger recording facilities, which they dubbed Grant Avenue Studios. There — after sessions for performers as diverse as Ian Tyson and children's artist Raffi — Daniel first worked with Brian Eno, who in the decade to follow would emerge as Lanois' chief mentor and frequent collaborator. Together, they spent several weeks working on instrumental ambient material, experimenting heavily with sonic manipulation techniques; when Eno eventually returned to the U.K., Lanois remained in Ontario, recording a series of LPs for the local band Martha and the Muffins and, in 1983, producing improvisational guitarist Jon Hassell's album Aka Darbari Java (Magic Realism). In 1984, after working with Eno on Hybrid (a collaboration with guitarist Michael Brook) and The Pearl (another collaborative effort, this time with Harold Budd), Lanois responded to Eno's call to co-produce U2's The Unforgettable Fire; the album was a major hit, and it so impressed another superstar, Peter Gabriel, that he invited Lanois to co-produce the soundtrack to the motion picture Birdy. Lanois next scored with 1986's So, Gabriel's brilliant commercial breakthrough. However, it was his and Eno's second collaboration with U2, 1987's The Joshua Tree, which launched him to true fame: after the album won a Grammy — and after he subsequently co-produced Robbie Robertson's long-awaited solo debut — Lanois emerged as one of the best-known and most respected producers in contemporary pop music. In 1989, he masterminded Bob Dylan's Oh Mercy — widely regarded as Dylan's best work in over a decade — as well as the Neville Brothers' Yellow Moon, an artistic watershed for the venerable New Orleans group. By this time. 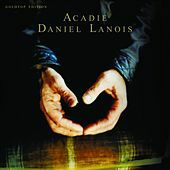 Lanois himself was a resident of the Crescent City, setting up Kingsway Studio in a mansion in the heart of New Orleans; there he crafted his own hotly anticipated solo debut, 1989's Acadie. Two years later, he reunited with U2 for the stellar Achtung Baby, and in 1992 re-teamed with Gabriel for the wonderful Us. In 1993, Lanois issued the lovely For the Beauty of Wynona; however, like Acadie, it failed to reap the same commercial awards as his other production ventures. Other albums of note include Emmylou Harris' 1995 masterpiece Wrecking Ball, Luscious Jackson's Fever In, Fever Out, Willie Nelson's Teatro and Dylan's 1997 comeback Time Out of Mind; in between, Lanois also recorded the score to the 1996 film Sling Blade. Lanois sxcored ahain with U2's All That You Can't leave Behind at the end of 2000 along qwith working with Joe Henry and others in a support capacity. 2003 sees the year of his third and finest recording Shine that features guest perfomances from Emmylou Harris and Bono. In 2005 he released the outtake filled, renegade CD Rockets through his website, which was followed quickly by Belladonna, a proper album release on Anti. ~ Jason Ankeny, All Music Guide Some of my favorite records take you on a journey, says Daniel Lanois. 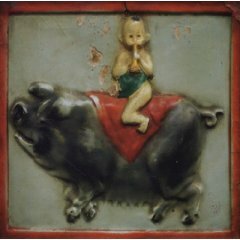 I wanted to make a record like that, that would challenge the imagination, conjure up images and, most importantly, it would be a reliable friend — it would take you to that place and never let you down. Lanois' vividly cinematic new album Belladonna does take you on a journey, a journey without words. Instrumental music can speak louder than singing, Lanois explains. It leaves a window of opportunity for someone to use their imagination and build their own scenario. You can make your own movie. Belladonna is also part of Lanois' own journey, which began with his early '80s apprenticeship with Brian Eno, making some of the greatest, most influential avant garde music of all time, albums like Ambient 2: The Plateaux of Mirror, Ambient 4: On Land, and Aka/Darbari/Java. After going on to produce the likes of U2, Willie Nelson and Bob Dylan, Lanois has made an album that assimilates all of that experience, blending his peerless gift for evocative sonic texture with the soulful mysteries of blues, folk, country and gospel. Both timeless and futuristic, Belladonna reasserts Daniel Lanois' rightful crown as king of musical inner space. For all its sun-baked serenity, Belladonna is foreground music that rewards close listening; Lanois masterfully darkens the canvas with noise, dischord and uncertainty, imbuing the music with intriguing contradictions and subtle turbulence. Telco, for instance, began as a straight guitar piece; then Lanois added effects that sounded like divebombs and machine guns and ambulances, he says. Then I overdubbed piano — a lovely melody while the ambulances are taking the bodies away! Some tunes are studio creations, like the finale Todos Santos, which wouldn't sound out of place on a My Bloody Valentine album. All About Jazz musician pages are maintained by musicians, publicists and trusted members like you. Interested? Tell us why you would like to improve the Daniel Lanois musician page.